Poet, critic and professor Joshua Clover makes a fascinating supposition in his monograph on the movie The Matrix, for the British Film Institute's Modern Classics Series. 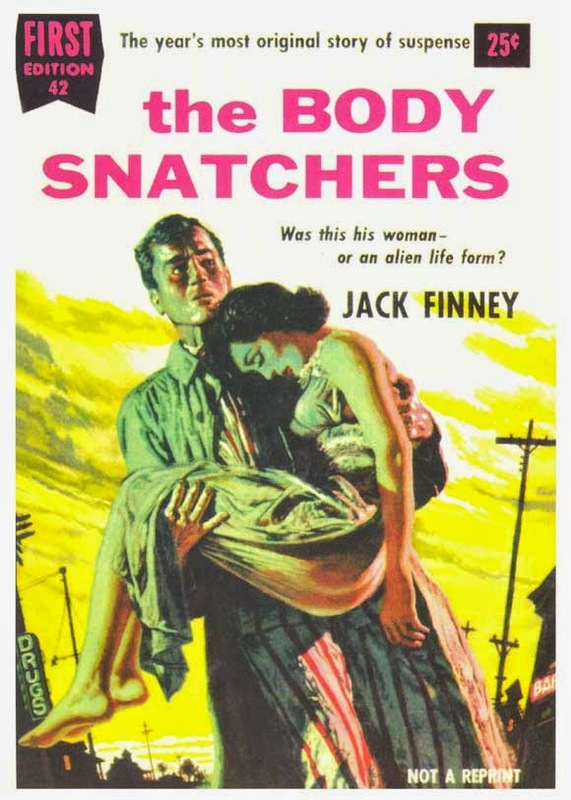 In a rather heady footnote, he suggests that the film Invasion of the Body Snatchers "is America's National Story, the one it remakes in times of crisis." The original film, based on Jack Finney's book, was made in 1956 and remade in 1978, 1993 and 2007. Clover sites the film's central thematic allure as being "the fantasy that one is the last free consciousness, as yet untainted by ideology, called to superhuman vigilance lest one be overtaken." One might say that the human-duplicating pod people (the "body snatchers" of the title) represent a direct threat to what Americans hold most dear: individuality. This is a fascinating theory and one could spend days coming up with alternate stories that might qualify as the prime narrative of America's collective psyche, not to mention stories that do the same for other cultures (Clover's throws out the story of the 47 Ronin as Japan's). Beneath all this, though, is the compelling point that we use our art not simply as a means of expression but as a repository for our most essential ethos.